that over the years we’ve learned a trick or two (or three) for maximizing media coverage for our clients. The early bird gets the word (no, that’s not a typo). When it comes to securing Market-related media coverage, timing is everything. What many don’t realize is that trade media in the home industry plan their Market coverage long before each event occurs – more than a month in advance for most. 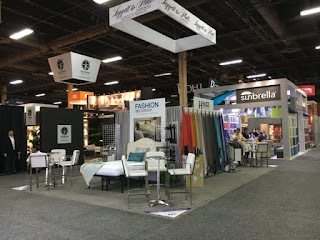 For our client Fashion Bed Group (FBG), which attends all four Markets during the year, we just finalized our press materials for Fall Market (which begins October 14) and have already done an initial round of outreach to our key media targets. This “early bird” approach has proven effective in generating buzz for the brand in the weeks leading up to each Market, which in turn helps to drive showroom attendance and business leads during the actual events. Find something new in your “news.” With four Markets each year, inevitably we are faced with repeated products and company news from show to show. While the audiences for each event may vary, the media that cover these shows are mostly the same. And, to them, a product or announcement is only “new” once. Therefore, we are continually faced with the challenge of creating “new news” out of subject matter they may already have seen and even covered. Part of what our team brings to the party is the ability to work with clients to find new ways to tell the story to keep an important product or topic in the news. A little personalization goes a long way. No one likes to receive bulk mail or a form letter. This rings especially true for media. One of the benefits of hiring a PR firm that specializes in a particular industry is working with a team that has nurtured strong relationships with media that cover that industry and knows how they tick. Our home PR team of experts has worked with some of the same editors for more than 30 years. We know what they like and don’t waste their time, our resources or a client’s budget on information they won’t use. So, while FBG sells a wide array of products ranging from youth beds to bar stools, we don’t send every press release to every editor we target. If a contact covers adjustable bases, that’s the only information they receive from us. This level of customization and personalization is what has earned LCWA our reputation as the go-to agency for media and companies in the home products arena. Strategic timing, a nose for news and a personal approach are just a few tricks of the trade that we employ to achieve media success for our clients. Based on the more than 30 placements we generated for FBG in coverage related to the latest Summer Las Vegas Market, it’s a formula that works. Next stop, High Point!